What’s an easy gift that entertains kids of all ages? Two words for you: edible bubbles. That’s right! 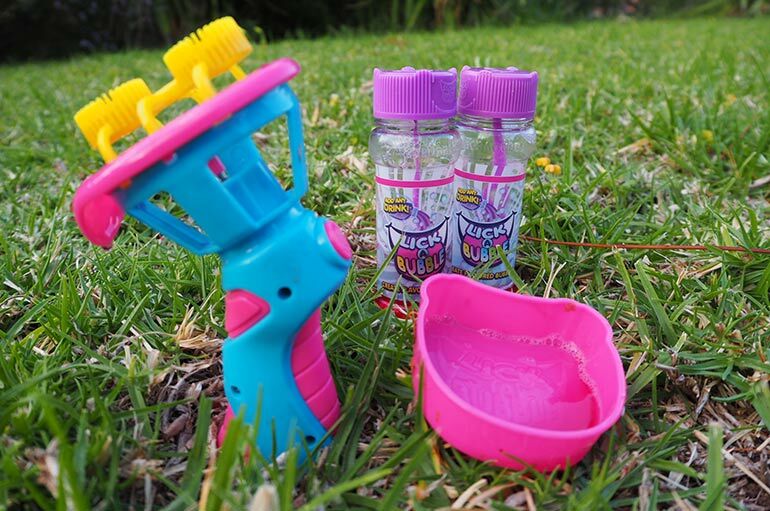 Every child’s favourite thing – bubbles – are now even better thanks to Lick-A-Bubble, which literally lets them taste the fun! 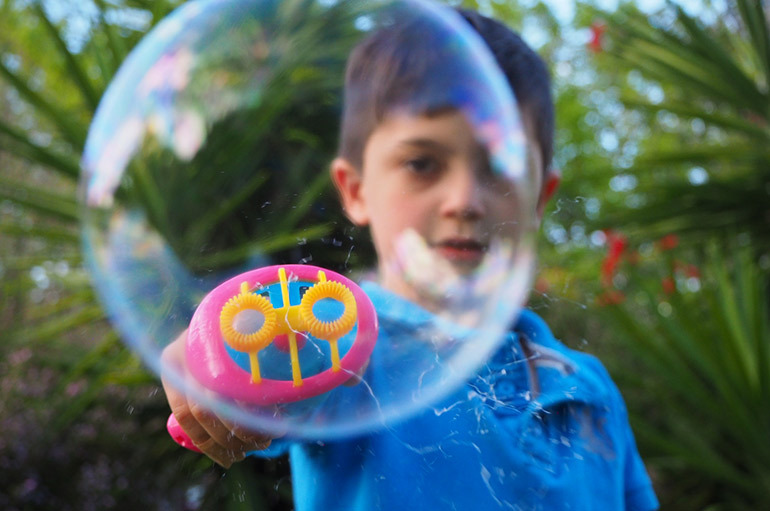 Invented by a paediatrician, allergist/immunologist and physician scientist, Lick-A-Bubble is sure to be a massive hit with your little ones. My two boys absolutely LOVED it – unique, delicious fun. And, I won’t lie. My husband and I had a few cracks at trying to eat the bubbles too which made the whole afternoon even more hilarious. Nothing better than spending time in the backyard with the kids, watching them try to eat bubbles and getting an ab workout from laughing at the same time. Weekend workout done. So what is this Lick-a-Bubble concoction? 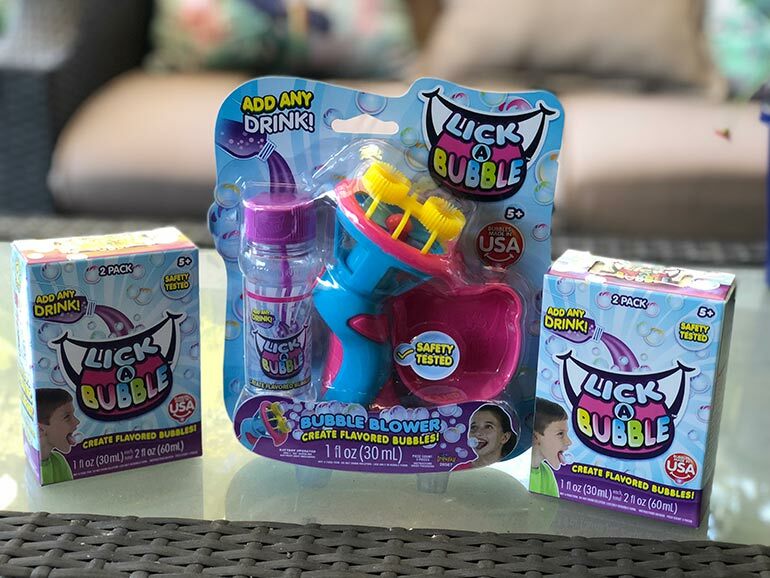 It’s pretty much what the name suggests – a bubble solution that, when combined with any drink, transforms regular bubbles into edible bubbles. It’s super easy to use and entertained us all for hours! Plus, it’s incredibly affordable – you can get a 2-pack of bubble mix and a bubble blower for under $20! 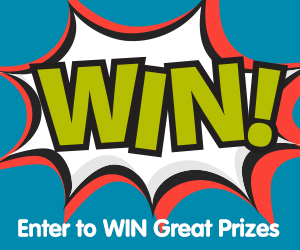 Or, keep reading for your chance to win 1 of 10 prize packs. 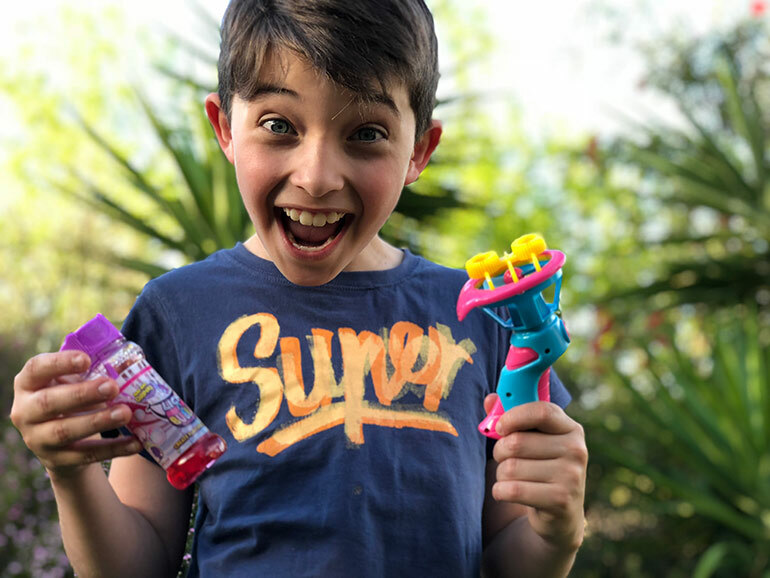 We tried Lick-a-Bubble over the school holidays and I was blown away by how easy and entertaining this toy really is. 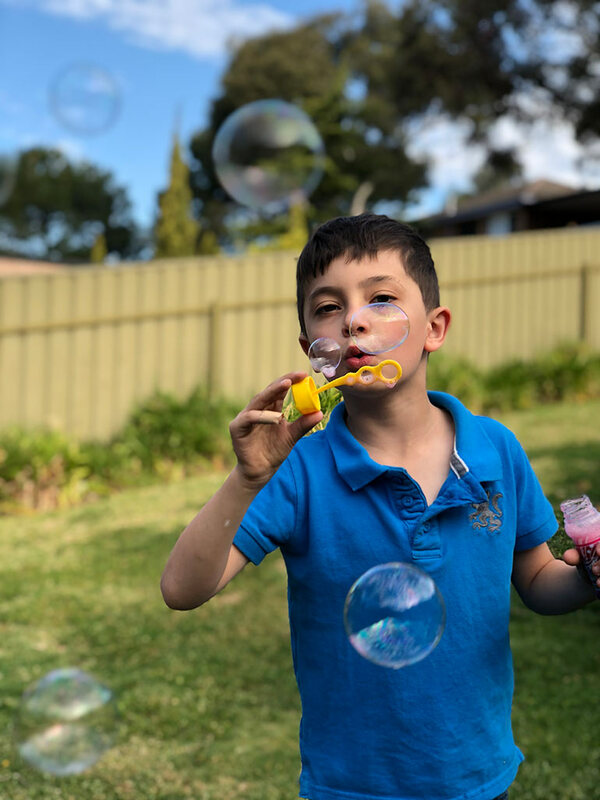 My boys, aged seven and nine, are usually more interested in Fortnite than bubbles but were more than keen to give Lick-a-Bubble a go. And did they ever give it a go! All we had to do was mix the fruit juice (avoid orange as the pulp doesn’t mix well) with the solution and blow as normal. 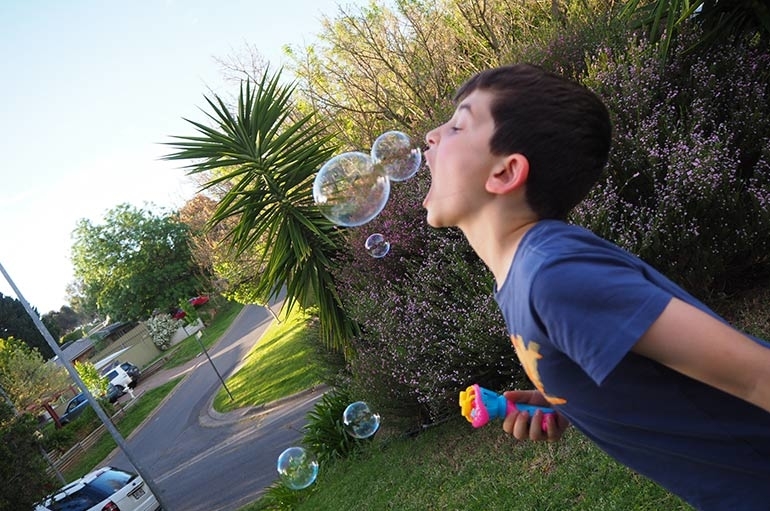 The boys could easily make bubbles with the bubble blower and had an absolute blast trying to eat them before they popped. For the younger crowd, like toddlers and preschoolers, I can imagine Lick-a-Bubble would be pretty much the greatest thing in existence. Bubbles. And juice. Together. It’s a match made in heaven. For the older crowd (us adults), I reckon combining Lick-a-Bubble with red wine or champers would make for a pretty eventful afternoon too. Sure, vodka jelly shots are fun. But edible champagne bubbles sound even better! 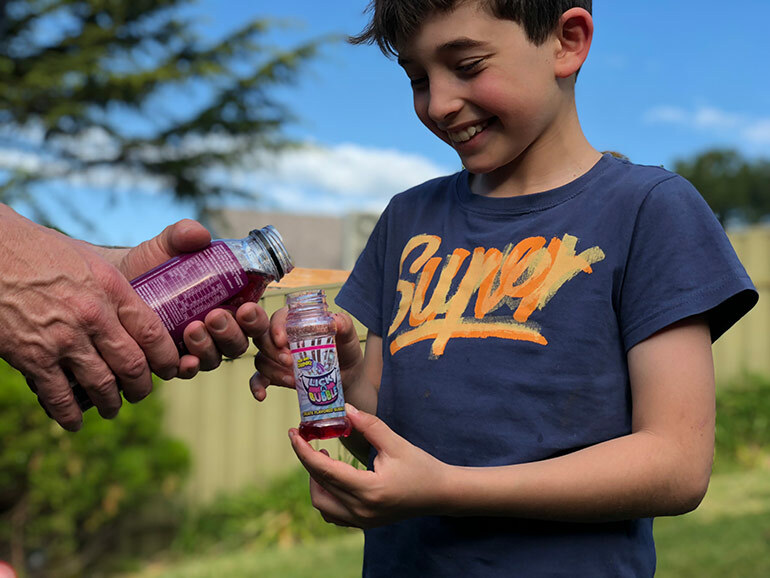 One of the best things about Lick-a-Bubble is that it’s 100% safe for kids of all ages.The solution has undergone intensive safety testing and passed it all. As you get to choose what you add to the solution, you’re in control of what your little ones are licking. Experiment with different drinks to generate SAFE, lickable bubbles. We loved Lick-a-Bubble. And I believe your little ones will love it too! Lick-a-Bubble - Hours of SAFE Edible Bubble Fun! 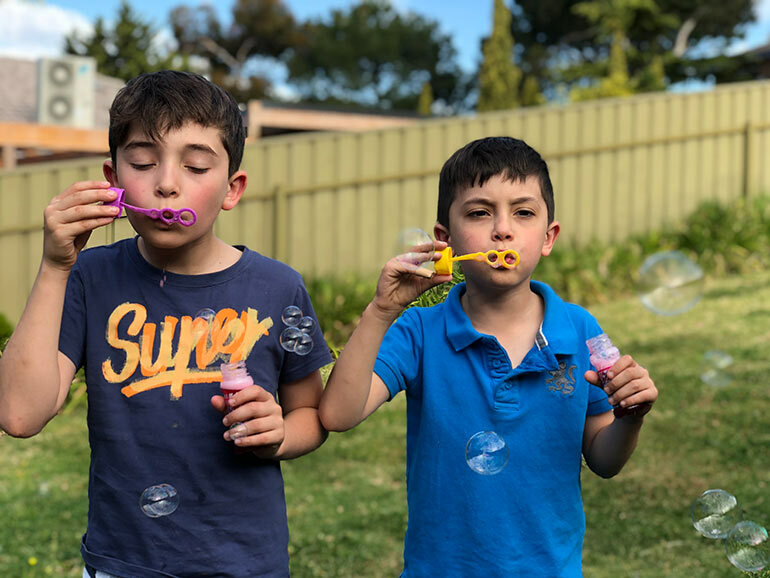 If you’re looking for a bit of a laugh at your next birthday party, camping trip, family gathering or weekend at home, I highly recommend picking up a Lick-A-Bubble and a bubble blower (or two if you have two kids). Trust me – the $20 will be well worth it in laughs! They are also great for stocking stuffers, birthday gifts for other kids and Christmas presents for children of all ages. You can get your own Lick-a-Bubble at Kmart. 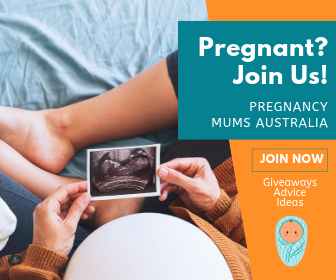 This fantastic prize from Lick-A-Bubble will bring smiles all around, fun and enjoyment to surround; thanks Mum Central & good luck everyone.